Woah it was quite a hectic week! I'm glad I went for my interview! As I said earlier, it was the first in a few years, as I had been at the right time at the right moment, with the good contacts. It went well, I was a little shaky but not that much! 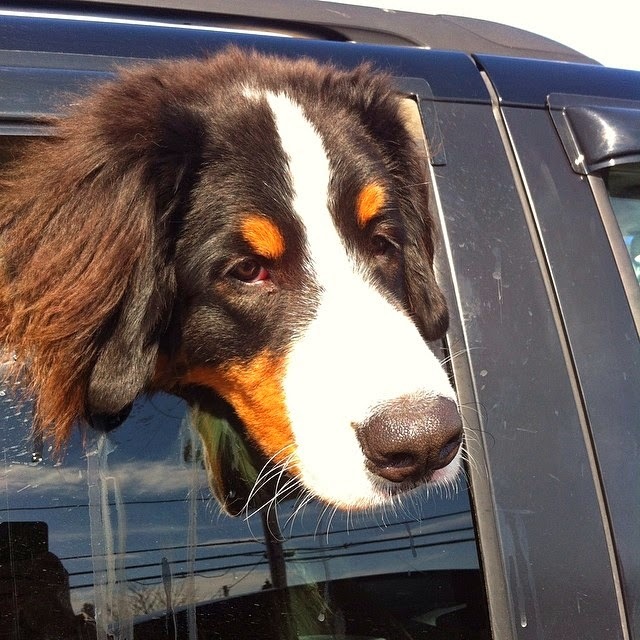 Just after the interview I went to the shopping center and I saw this gorgeous Bernese Mountain Dog! I think he was quite young still and he was drooling all over the window and my trench coat! He was just so loving and sweet! Sunshine! The snow is finally melting! And it actually feels like Spring! Speaking of Spring, Suzanne gave me two tables that I'm going to paint, and I just can't wait to go outside and paint those and other things I have.